Corvette is one of the most iconic American sports cars. It has been a popular option in the Chevrolet lineup for decades, and many drivers find the classic Corvette models to be even more appealing than brand new Corvettes. When you check out the used Corvette Stingray at Champion Motors International serving New York New Jersey, you will discover that this classic model is the second generation Corvette and that the line continues even today. 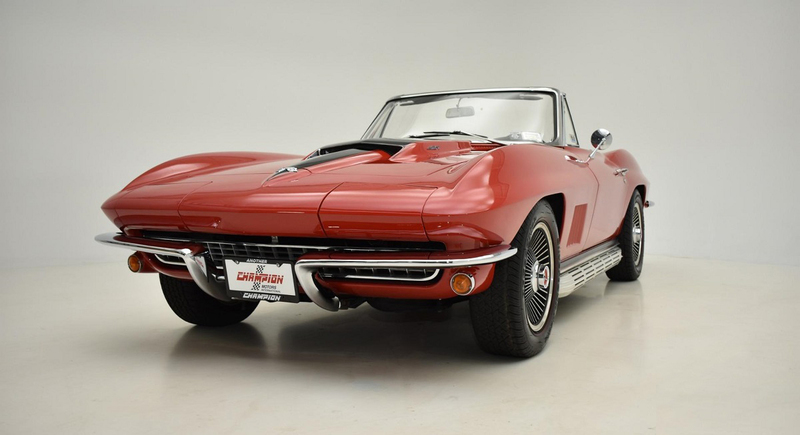 Also known as the Corvette C2, the Stingray was offered from 1963 to 1967. As the last model year available in the C2 line, the 1967 Chevrolet Corvette Stingray has infinite appeal for some auto buyers. Notably, the 1967 model has received five years of improved engineering and enhancements over the initial 1963 model. If you are in the market for an iconic classic car, a closer look at what you can expect from this stunning sports car may tell you if this is the right vehicle to focus your attention on. Our New York dealership is the perfect place to go to get more information about the Stingray. One of the most notable things that you will initially observe about the 1967 Chevrolet Corvette Stingray in New York is its eye-catching body style. The automaker made numerous updates to the exterior of the 1967 Chevrolet Corvette Stingray in an effort to improve its look and its aerodynamics. The three large fender flares in the front of the vehicle in the 1966 model were replaced with five smaller fender vents in the 1967 model. The rockers were redesigned with a flat finish that eliminated the ribbed design. The wheel covers also were revamped with the introduction of six-inch slotted Rally wheels with a chrome finish. One other modest improvement for the exterior was the introduction of a mounted light in the rear over the license plate. The 1967 Stingray was produced in a convertible form and in a sports coupe design. When you look for a used Corvette Stingray, be aware of the original exterior color options offered by Chevrolet. These are Goodwood Green, Tuxedo Black, Sunfire Yellow, Ermine White, Silver Pearl, Rally Rad, Marlboro Maroon, Marina Blue, Elkhart Blue and Lynndale Blue. While you can admire the exterior of a used Corvette Stingray online or from afar, it is wise to head to Champion Motors International serving New York New Jersey to get to know more about the interior. When you compare the interior of the 1967 Stingray to the previous year, you will notice that the original upholstery received a modest upgrade. In addition, the handbrake that was located on the dashboard in the 1966 model is relocated to a central location between the seats in the 1967 model. There was also a passenger grip located above the glovebox that was eliminated in the 1967 model. Keep in mind that many previous owners of the Stingray have taken steps to upgrade their vehicle over the years. 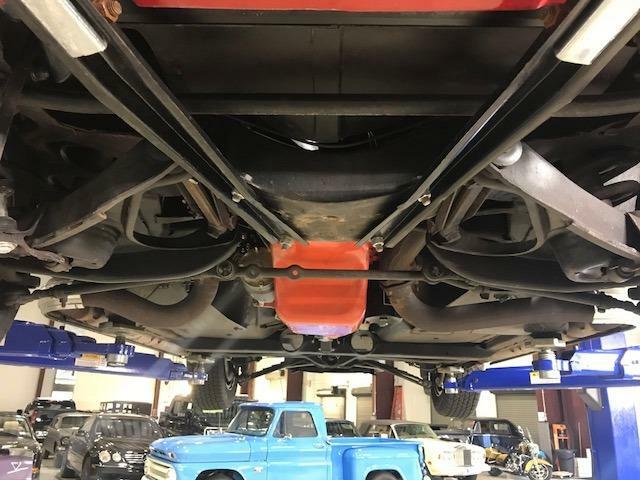 When you stop by our dealership to learn more about the 1967, we can tell you more about the features that were standard equipment with the original design and about the common upgrades that have been made over the years. 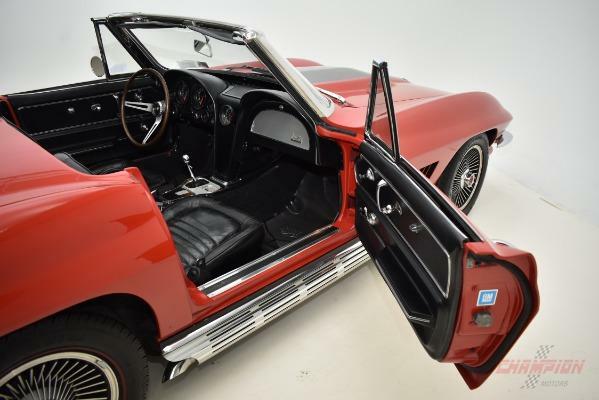 While the performance capabilities of the Corvette have fluctuated over the years, the 1967 model year is well-known for its excellent powertrain options. A 327 engine with a small-block V8 was available in two options, and these delivered up to 300 horsepower or up to 350 horsepower. A 427 engine with a big-block V8 engine was another option, and it offered 390 horsepower. This same engine was also available with a big-block tri-power V8 engine which offered between 400 and 435 horsepower. You can see that this is a sports car that had undeniable power, and this was enabled through several specific features in the engine design. This includes a small flywheel, a large Holley four-barrel carburetor, an aluminum radiator and other features. The driving experience was further enhanced by power brakes, an impressive suspension system and an innovative ignition feature. Keep in mind that the radio and heater that were common features in the previous model years were eliminated as standard features so that more power could be allocated to engine performance. Safety features have evolved dramatically over decades of automotive history. Some buyers may be inclined to think that the 1967 Chevrolet Corvette Stingray in New York would have a short list of safety features because of its age, but this is not the case. In fact, some of the safety features available in the 1967 Chevrolet Corvette Stingray include four-way emergency flashers, a breakaway rearview mirror with a shatter-resistant vinyl pad, an engine warning light, a thicker dashboard pad and an energy-absorbing steering column. You can see that decades ago, Chevrolet was already leading the way with its thoughtful safety features. 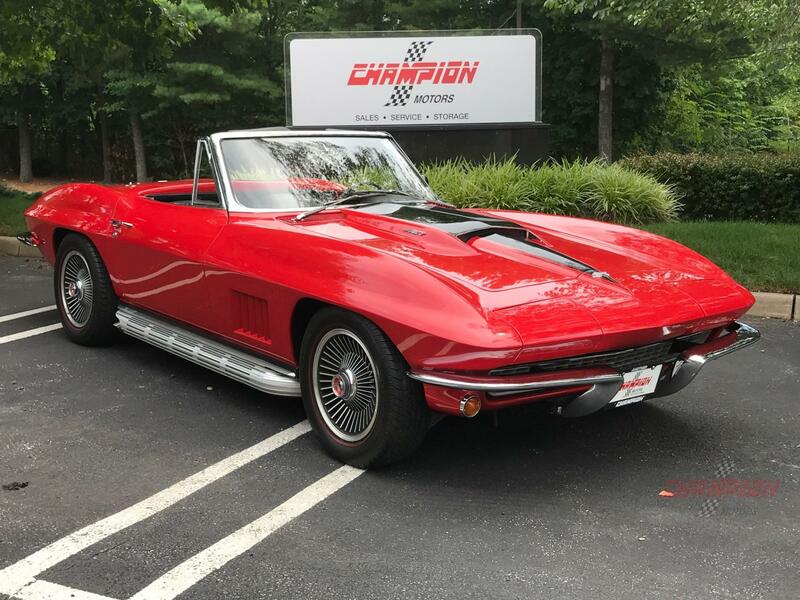 If you are in the market to purchase a 1967 Chevrolet Corvette Stingray in New York soon, it makes sense to head to Champion Motors International serving New York New Jersey. With an excellent selection of classic cars to choose from and an inventory that updates regularly, you may be able to easily find a quality pre-owned classic car when you check out our inventory periodically. Our sales team is eager to help you locate the exact vehicle that you are looking for, so contact our office today to request an appointment with us.